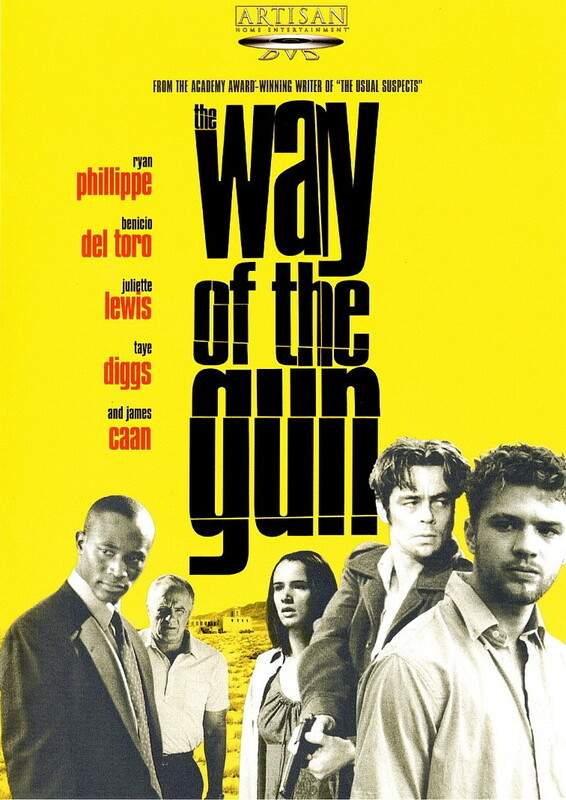 The fifth film to be chosen in the MovieMuse Film Club is the off-beat action thriller Way of the Gun. Chosen by Graeme Mason, Way of the Gun was written and directed by Christopher McQuarrie who also wrote the BAFTA winning screenplay for The Usual Suspects. Starring Benico Del Toro and Ryan Phillipe as hapless kidnappers, the film was panned on release but remains a firm favourite of Graeme’s. Check out the trailer below and hear our thoughts in episode 6 of the MovieMuse podcast. Just make sure you let us know what you thought in the comments below or via our Facebook and Twitter feeds and the best will be features on the next show. Graeme - "I don't think Benicio del Toro has ever been better than this"
Simon - "They could've cleared it all up in 10 minutes"
Mat - "just a bunch of unpleasant characters doing unpleasant things to each other"
Gordon - "it feels like set pieces put back together in the wrong order"
A clever and entertaining film that lets itself down with a saggy middle section and too much dialogue. Great performances and and an intriguing first and last 15 minutes raise it slightly above popcorn.